When it comes to promoting healthy hair growth, many people think that store-bought treatments are the answer. Whilst nourishing conditioners and repair masks are sure to help, you an actually promote healthy hair growth by simply changing your diet. Yes, believe it or not, the foods you eat actually have an impact on your hair health, so it’s important to make sure you’re eating the right things! Here we’ve shared a list of the foods that promote healthy hair growth. Salmon, sardines and mackerel are all packed with healthy omega-3 fatty acids. These are fats that your body can’t make, so you need to get them from the food you eat. Fish like salmon and mackerel provide a number of health benefits, such as protecting you from diseases but they also promote healthy hair growth, keeping it looking shiny and full. Greek yoghurt is a great source of protein and also contains Vitamin B5, which is great for improving blood flow to your scalp. This vitamin is commonly incorporated into shampoos, as it’s known to prevent hair thinning and loss. 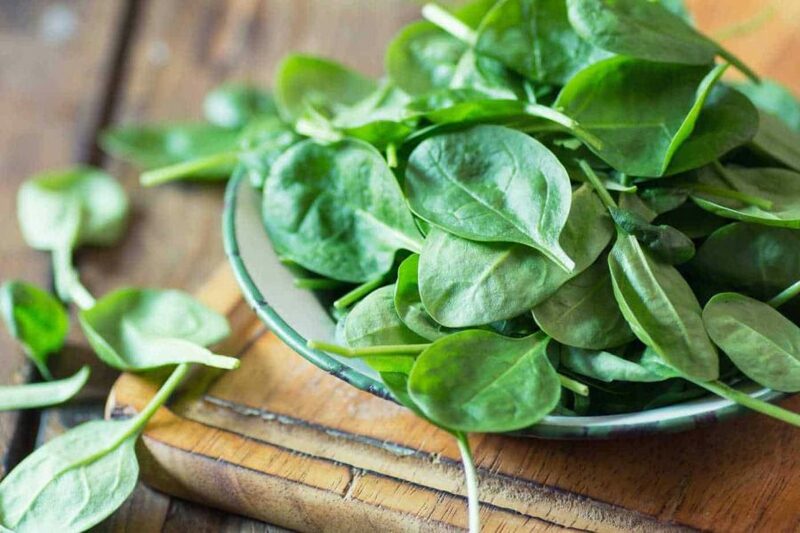 Dark green, leafy vegetables like spinach are packed full of vitamins and minerals like Vitamin A, Vitamin C, Beta Carotene and Iron. These vitamins are all great for nourishing the hair and preventing it from becoming brittle. The more moisturised your hair is, the less likely it is to break, so make sure you’re eating your greens! Iron deficiency can lead to hair loss, so it’s important that you’re getting plenty in your diet. One of the best ways to ingest iron is to eat fortified cereal, grains and pastas. Soybeans and lentils are also great sources of iron. If you’re not getting enough protein in your diet, then your hair will go into rest mode. The problem with this is that if new hair isn’t growing but your old hair is falling out, you could end up with bald patches. Plenty of foods are good sources of protein, however we recommend sticking to the healthy options. Lean poultry like chicken or turkey are much better for you, as they provide the protein you need, without all the saturated fat found in other meat. Eggs are another great source of protein; however they’re also rich in a B vitamin called Biotin. If you don’t get enough of this B vitamin, then you may experience hair loss and other symptoms such as brittle fingernails. If you find that your hair looks dull and feels dry, then you may want to consider incorporating more sweet potatoes into your diet. Sweet potatoes contain a powerful antioxidant known as Beta Carotene. The body uses this antioxidant to create Vitamin A, which is used to promote healthy and shiny hair. Beta Carotene also encourages the glands in your scalp to create sebum, which nourishes the hair and prevents it from drying out. Other good sources of Beta Carotene include carrots, pumpkins and mangos. Sprinkle a little cinnamon into your recipes to promote healthy circulation. Cinnamon is known for improving blood flow, which will ensure that your hair follicles are getting the oxygen and nutrients they need to thrive. Healthy hair growth isn’t all down to the treatments you use; in fact it’s more than likely down to the food you eat! Make sure you’re incorporating these foods into your diet to keep your locks healthy, shiny and full. If you are suffering from hair loss, as a result of a vitamin deficiency or another condition, feel free to get in touch with our experts to find out more about the solutions available to you.